Afionas is one of the oldest villages of Corfu, built in an enchanting landscape, on a mountainous cape, which offers an amazing view of the open sea, of the islet of Gravia, Diapontia Islands as well as of the unique sunsets. 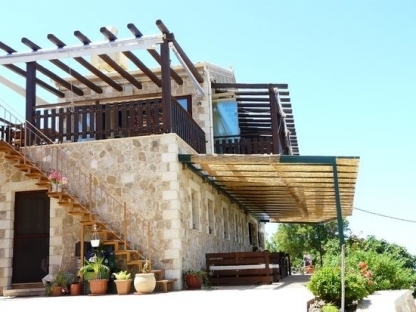 On the right of Afionas you can gaze upon the bay of Arillas and on the left, the bay of Agios Georgios with a lovely beach. 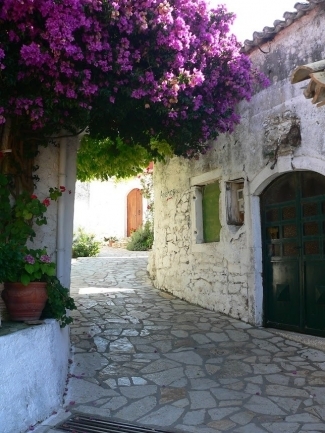 Besides its amazing position, Afionas is also a very picturesque village with colored houses and cobbled roads. 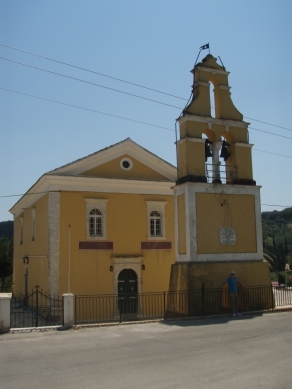 The main church of the village is Agios Ioannis which was built in 1636. 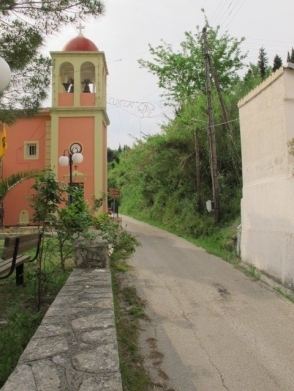 Next to the church a monument has been erected honoring Ektoras Gialopsos, an officer of the navy who was killed in Imia in 1996 and who came from this village. 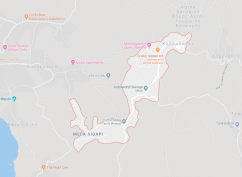 In Afionas a cultural club is active and helps with embellishing and cultural activities, such as the festival of Agios Ioannis on the 24th of June. The day before the feast, a custom takes place called Lampata, when the villagers light fires and jump over them. 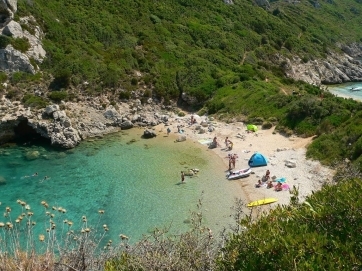 Below Afionas is situated the famous double beach, Porto Timoni. It is in essence, two beaches which are separated by a narrow strip of land. 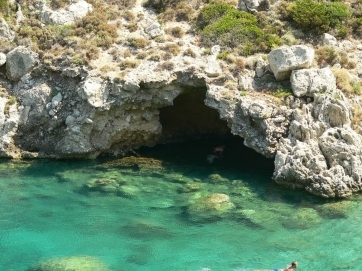 The left one is called Limni and it has blue waters and the right one is Porto Timoni with darker waters. You can reach them after a walk of about 20 minutes. During your walk you will see ruins of fortifications which were built in the Middle Ages in order to be protected from the invasions of pirates. 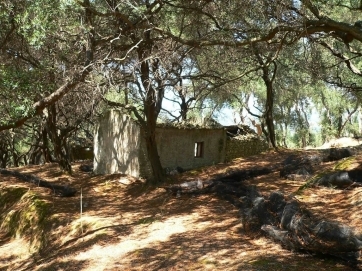 If you continue on the same path towards the end of the peninsula, you will find the small church of Agios Stylianos inside a cave. 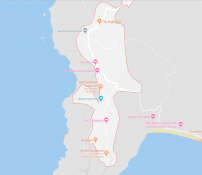 The entire end of the peninsula is called the «Head of Mourgis», because its shape looks like a dog’s head. Archaeological findings demonstrate that Afionas was inhabited during the 6thcentury B.C. Besides, many researchers relate Porto Timoni to the Homeric city of Faiakes but, there is not enough evidence to prove this. 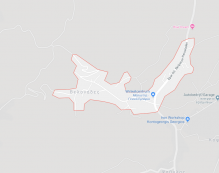 There are many versions concerning the name of the village. The first version is that it is named this way because it is located in the neck (afchenas) of the mountain and after a paraphrase it became Afionas. The most plausible version is that it was named after the variety of grapes called afioni which, only thrive in Corfu. Find your Hotel, Villa, Apartments & Studios here! Take a look for your Restaurants, Bars & Shops here! Add your own business on this website? You´re own website ? Domain registration? Low Costs (Keep all the money you work so hard to earn) Contact us!